The e-POP MaGnetic Field instrument (MGF) consists of dual, tri-axial fluxgate magnetometers mounted on an 80-cm carbon fibre boom for measurements of magnetic field perturbations to a precision of 0.0625 nanotesla, from which to infer small-scale field-aligned currents. The principal scientific goal of MGF is to investigate the localization and characterization of field-aligned currents in the high-latitude auroral zones and polar caps. The Earth’s magnetic field is measured at a rate of 160 measurements per axis per second, to a precision of 21 bits and an accuracy of 0.0625 nanotesla. 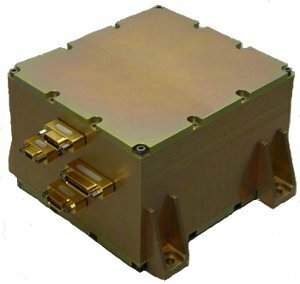 This temporal resolution allows detection of current structures down to the 100 meter scale, and the sensitivity allows for measurement of current densities down to 10-7 A/m2. The development of MGF was undertaken by Magnemetrics, in partnership with Bennest Enterprises and Narod Geophysics. The lead scientist for MGF is Dr. Don Wallis.